Recognizing dehydration symptoms is vital, as quick action can save a life. If you do not know the signs and symptoms of dehydration you or your family could be in danger of becoming severely ill.
Dehydration occurs when we do not take in enough fluid or we lose more fluid than we take in. We lose fluid naturally when we breathe, in sweat, tears, urine and feces. Along with the fluid we also lose small amounts of salts. Normally our body keeps the fluid in our bodies at the correct level and it has mechanisms to keep the fluids and salts in our cells and in our blood in balance. However, sometimes things go wrong and when this happens you should know how to recognize the danger signs so that you can act and prevent a serious situation arising. Knowing the answer to the question ' what are the symptoms of dehydration ' could be very important to you one day! There are many causes of dehydration. It is one of the common diarrhea symptoms; dehydration will be even more likely if vomiting is also present. However, be on the alert for other causes of dehydration such as very hot weather, excessive exercise, not drinking enough, especially in young children or the elderly who cannot access drinks, burns, diuretic medication, alcohol and diabetes. Dehydration in children and dehydration in the elderly is far more common than in others and they are more likely to suffer serious effects. It is important to look out for dehydration symptoms in the elderly as they often have a reduced thirst sensation and so do not drink enough. Athletes are at risk due to excessive sweating. People with long-term health conditions are more at risk especially those who suffer from diabetes or alcoholism or are taking diuretic medication (water pills). Burns victims lose a lot of fluid and so symptoms of dehydration often accompany a burn. However, anybody can suffer from dehydration symptoms especially if they are ill with diarrhea and vomiting and do not or cannot take dehydration prevention measures. Although excessive thirst can be an indicator of dehydration this cannot be relied upon, as after the age of fifty the thirst sensation begins to reduce and it can be markedly absent in very elderly people. The most reliable dehydration symptoms are reduced urine output and darkening of the urine. If you are passing the same amount of urine as you normally do and it is pale in color then in most cases you are not dehydrated. An exception is for those people suffering from the rare condition diabetes insipidus who pass large amounts of pale urine but can still be dehydrated. Dehydration treatment is principally about replacing lost fluids and salts. This can happen at home if the dehydration symptoms are mild. Drinking plenty of fluids is important. Do not have drinks with caffeine or a high sugar content as these can make the dehydration worse. Sports drinks such as Gatorade or Lucozade Sport (not Lucozade Energy) are formulated to have the correct amount of sugar and salt. Energy drinks do not have the right balance of sugars and salts to treat dehydration and if drunk in large quantities they can cause diarrhea. If you do not have access to sports drinks then adults can have a salty snack alongside a drink of water. A home oral rehydration solution can be made by mixing one half of a level teaspoon of salt (2.5ml) with six level teaspoons of sugar (30ml) and one litre (33.8 U.S. fluid ounces) of clean water not contaminated water. Make sure that the quantities are measured correctly as the solution could be dangerous if made incorrectly. Please note that not all teaspoons are the same size so make sure that your teaspoons are 5ml or use a more accurate method like a measuring cup. If you do not feel better quickly or you have severe dehydration symptoms then seek medical assistance as intra-venous replacement of fluids may be needed. Children and particularly babies have less well developed temperature control systems and fluid regulating systems and so are at higher risk of the symptoms of dehydration. It is particularly important to look out for dehydration symptoms in babies and children as their bodies are much smaller and the amount of fluid in their bodies much lower than for adults so they will become ill more rapidly if they have dehydration. Do you know what to look out for? If your child or baby becomes dehydrated it is important to recognize the danger signs and act quickly to prevent their condition worsening. If they do not improve immediately when given oral replacement fluids then they should see a doctor quickly and the younger they are the more rapidly they should be taken to a medical facility. If your child or baby has mild dehydration (one or two symptoms from the mild to moderate list) then give them frequent sips of an oral replacement solution such as Pedialyte, Dioralyte (U.K.) in addition to their normal diet. If you are breast feeding then continue with frequent small feeds supplemented with oral replacement solution. If they do not improve rapidly then take them to see a doctor. If they have any of the dehydration symptoms in the severe category then you must seek medical care for them immediately. If you find that you or a member of your family are in a position where you risk becoming dehydrated, prevention is very important. If you have diarrhea or vomiting then drink plenty. Of course this can be difficult if you are being sick or have nausea but small amounts of fluid taken frequently can really help. With young children, fluids given every few minutes on a teaspoon or carefully dribbled into the side of the mouth with a syringe can help prevent them becoming dehydrated; another trick is to give them ice pops or lollies. Make sure that elderly people have regular drinks as they often do not feel thirsty and may forget to ask, indeed if they have memory problems they may not remember if they have had a drink or not. If there is a heat wave be particularly vigilant. In the summer of 2003 we were on holiday in France during a very fierce heat wave and it really was unbearable for us (air conditioning is not common) but unfortunately for many elderly people it was much worse, as they died. There were 14,802 extra fatalities in France during this period, many of them due to dehydration amongst elderly people because dehydration symptoms were missed and the appropriate treatment was not given. Dehydration is an often overlooked problem. We need more fluids when we are ill, if we exercise or in hot weather but are you getting enough for your everyday needs? 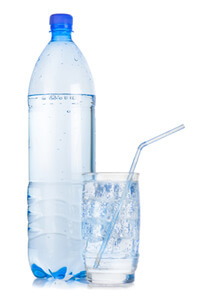 Many people suffer from chronic dehydration. Not drinking enough can leave you feeling sub-par. Many people think that they are drinking plenty but their intake is mainly made up of coffee, tea, and cola drinks. These fluids are diuretic so they make you pass more urine and add to the problem. Make sure that you drink water as well to keep your body well hydrated. Let me leave you with one last thought about dehydration symptoms. Think of the difference between a grape and a raisin. Remember your body can be up to 75% water but for some of us it is only 50%! Please browse diarrheanurse.com for more information about the causes of diarrhea; a major reason for dehydration.